Expertise in medical sales includes business knowledge, medical knowledge, one’s own product knowledge, and knowledge of competitive products. It also requires knowledge of the different personality types one finds in healthcare and how to interact effectively to build working business relationships. 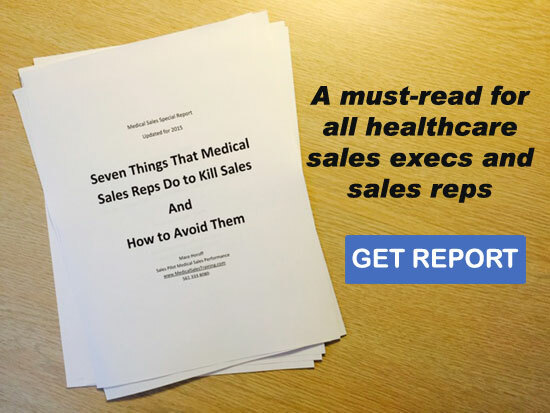 Mace Horoff, President and founder of Sales Pilot Medical Sales Training, honed his medical sales skills through 31 years of immersion in sales, management, and training. He is the author of Mastering Medical Sales: The Essential Attitudes, Habits and Skills of High-earning Medical Sales Professionals , the most up-to-date book available on medical selling and a finalist in “The Best Books of 2010 Awards.” Sales Pilot stays current regarding evolving challenges and opportunities along with the experience to know what works and what doesn’t in medical sales. All engagements with your sales force begin with a thorough understanding of your company, your products, your customer, and your competition. We interview management at both the marketing and field-level to clearly identify desired outcomes. Perceived needs are then discussed with select members of your sales force to obtain and analyze their perspective. We then propose a training process to achieve the desired sales objectives.